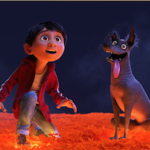 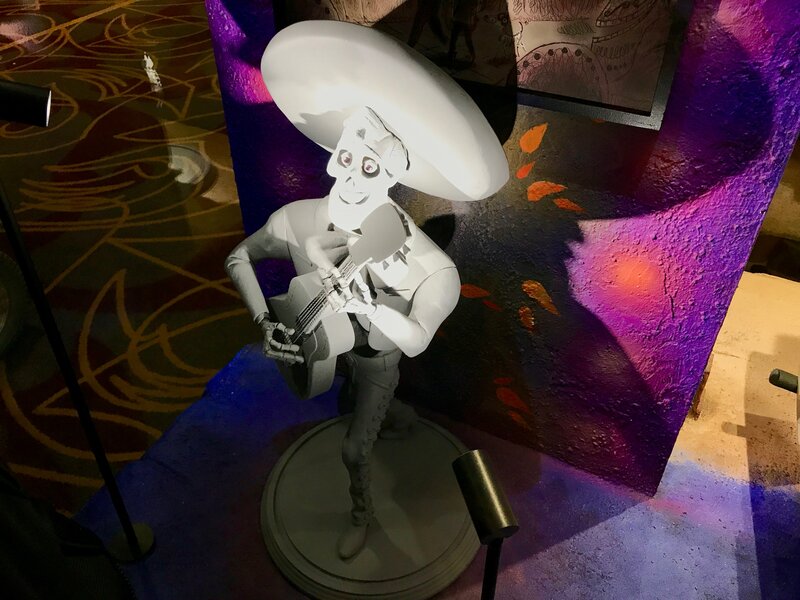 Anyone that has been around me since seeing a early screening of Disney•Pixar’s Coco last week has heard me sing the praises of this beautiful film (read my spoiler-free review HERE), but until you see it, you won’t be able to appreciate it. 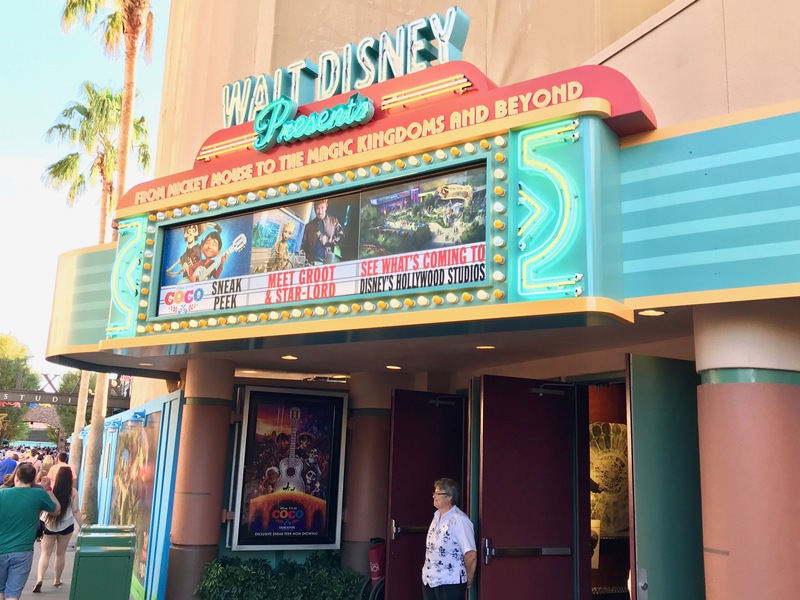 Still, Walt Disney World has made sure guest know it is coming! 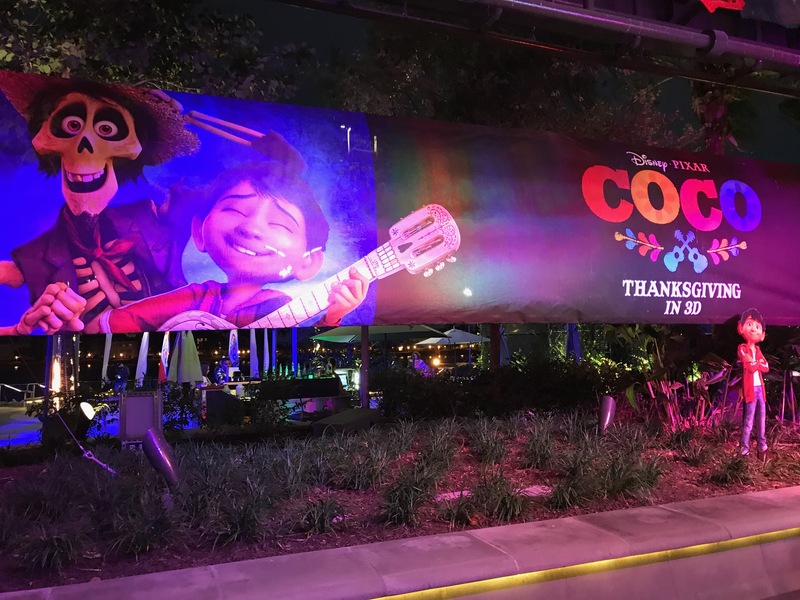 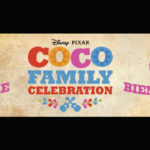 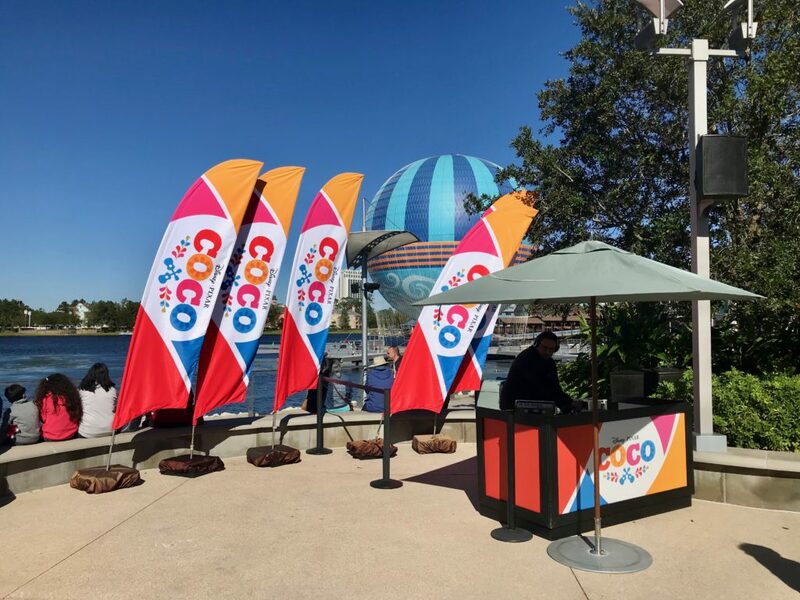 Over the years, Disney Springs has had small promotions for upcoming films, but for Disney•Pixar’s Coco not only did they add normal banners they created a family celebration area in Exposition Park. 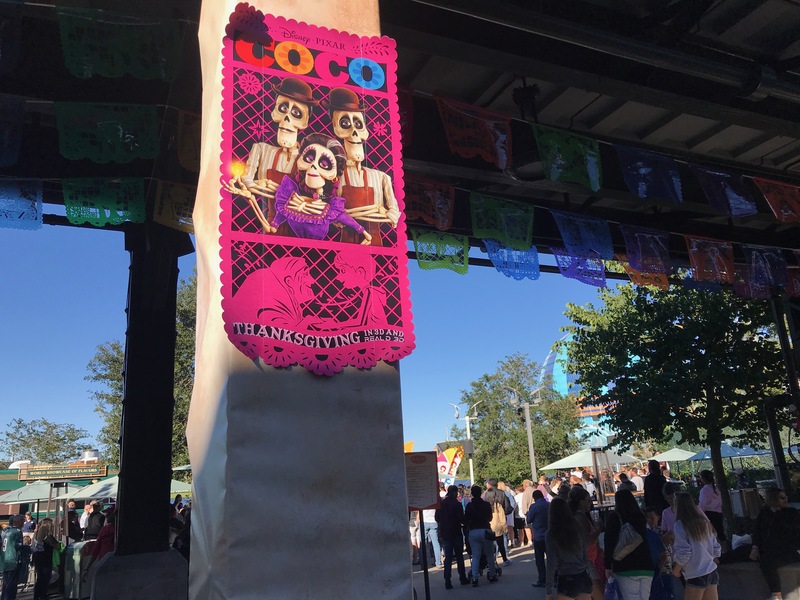 With added food options from the food truck and great music, this area really comes to life at night. 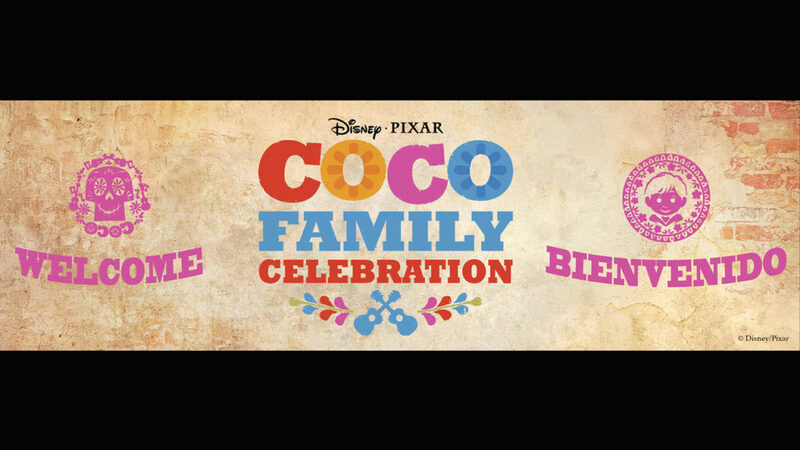 The celebration only lasts till November 26th, so make sure you stop by before or after seeing Disney•Pixar’s Coco on opening weekend. 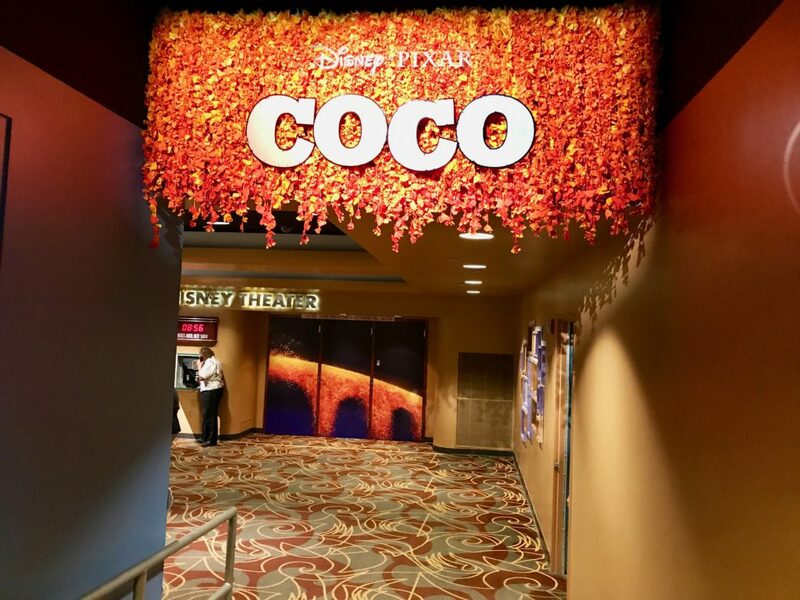 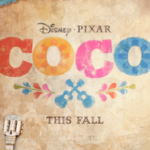 Walt Disney Presents added a sneak peek of Coco in the Walt Disney Theater that shows the first few minutes of the film and really gives a perfect tease to the film. 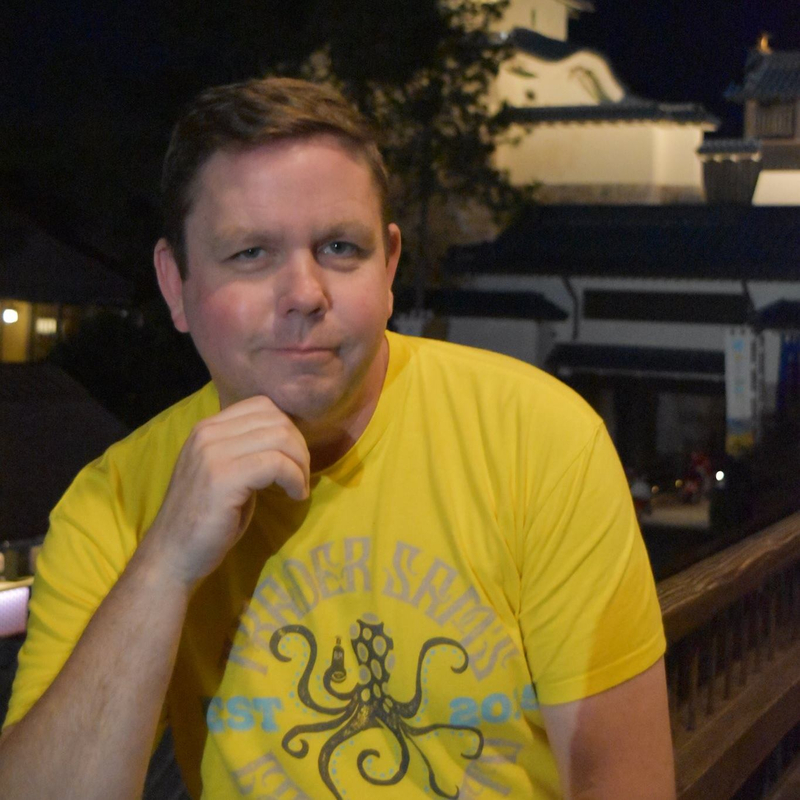 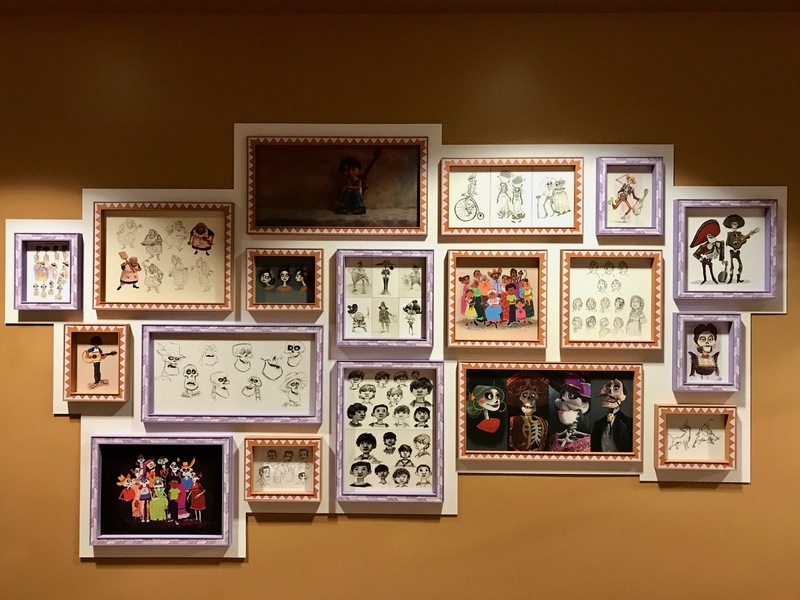 But the real highlight is in the waiting area for the theater. 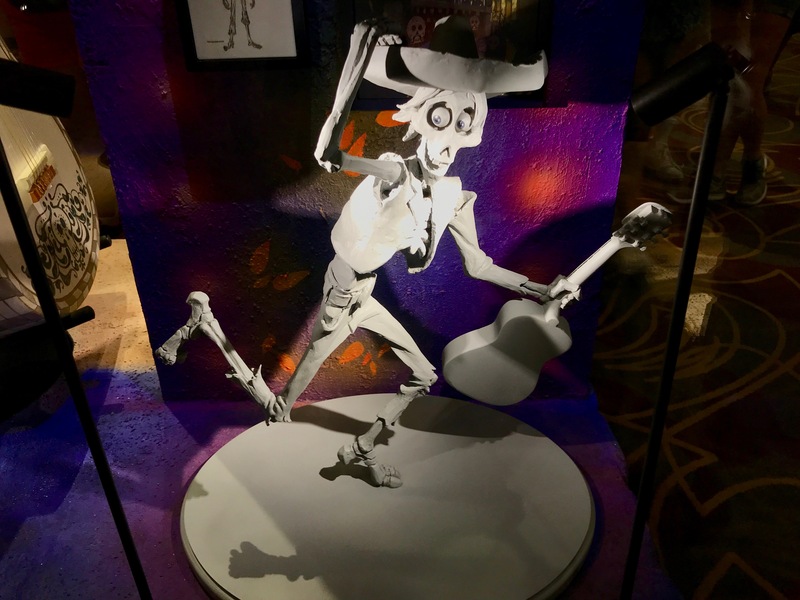 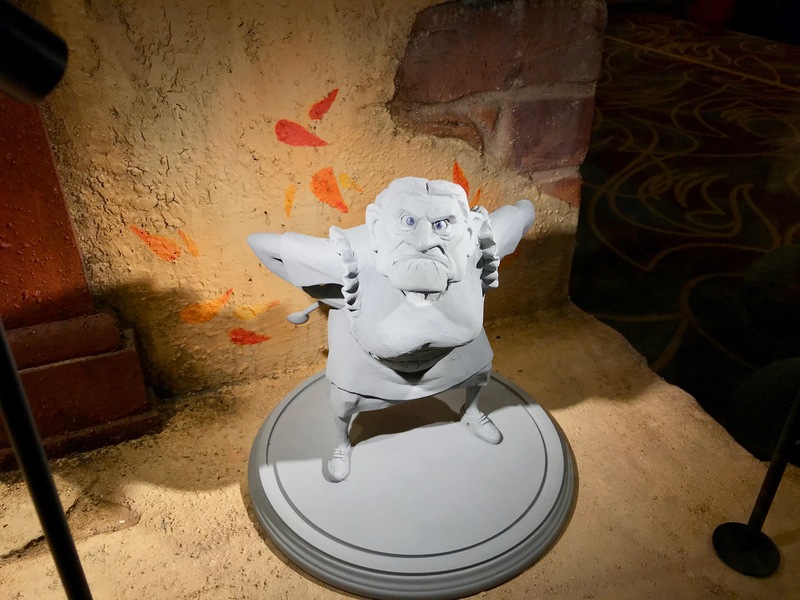 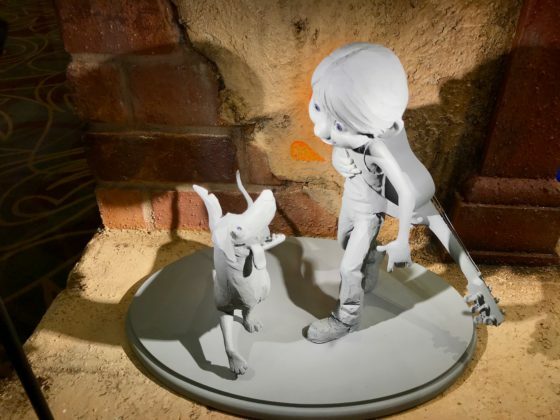 Offering a glimpse into how Disney•Pixar’s Coco was made with maquettes and concept art, this is one of the best displays in this area in a while. My favorite touch is the two-sided display, with one side representing the Land of the Living and the other the Land of the Dead. 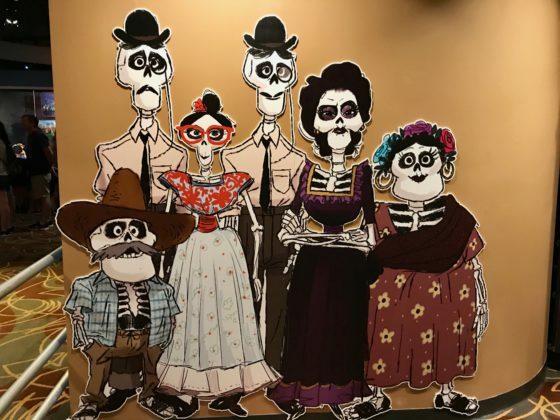 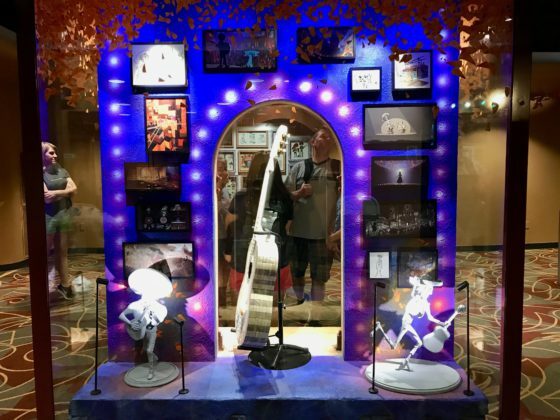 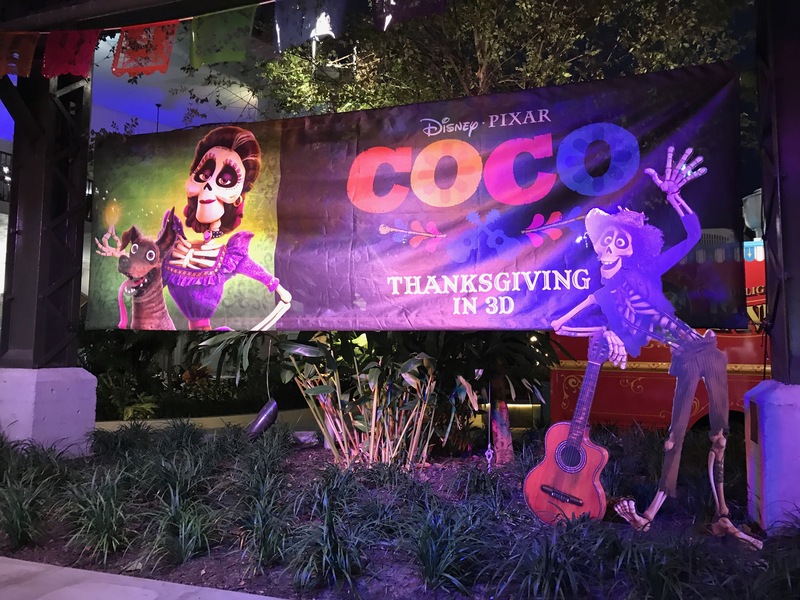 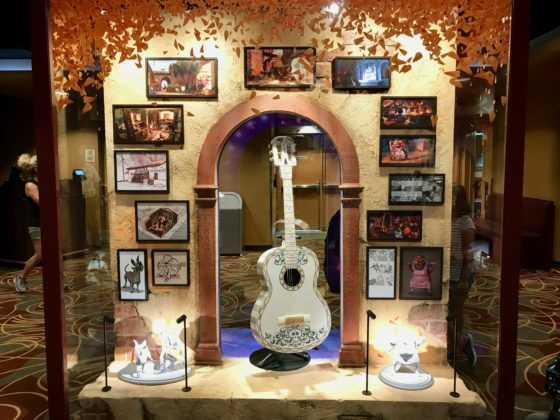 Disney•Pixar’s Coco opens on Thanksgiving day, so these displays will only be around for a few more days so make sure you get down there and check them out!